Social media has completely rewritten the way the world communicates, with human contact and connections being boiled down to algorithms and jargon that are broadcast from a device that fits into the palm of our hands. For all the good of online platforms, concerns have arisen about what it exposes its users to. Drugs on social media is a two-way street – one of temptation and one of recovery. Bloomberg says that the intersection between social media and drug use is “a double whammy,” where consumption of illegalsubstances is normalized and glamorized in high-definition pictures and videos. Drug use isn’t something that is limitedto celebrities and strangers; now, friends (and even family members) can share a picture of a row of shot glasses, a jointof marijuana, or even harder and more dangerous drugs with hundreds of contacts, all at the click of a button. The instantaneousnessof the connection also allows users and their dealers to stay in touch through instant messaging programs that are oftenpart of social medial platforms. To that end, a 2011 survey conducted by theNational Center on Addiction and Substance Abuse at Columbia University found that teenagers who regularly use popularsocial media outlets (such as Facebook) were more likely to drink, use drugs, and buy tobacco than adolescents who eitherdid not use social media or used it less. What these people tend to see on social media are pictures and videos of people they know (or people they would like to know) using drugs. But the founder and chairman of the National Center on Addiction and Substance Abuse cautions againstmaking a simplistic connection between social media and drug use. Social media doesn’t cause drug use, Joseph Califanosaid, but there is the fear that services like Facebook, reddit, or 4chan will create “a new form of peer pressure” thatwill compel vulnerable teenagers into engaging in drug use. Teenagers themselves feel that this will be a problem, with a 16-year-old high school junior telling theChicago Tribune that the Internet convinces users that “everyone else is having more fun than you.”The New York Times calls this “the pressure of perfection.” Social media allows its users to present a meticulously curated version of theirlives, one that eschews honesty for social status. For some impressionable people, seeing their friends and family outhaving fun (in the form of Facebook posts or tweets) can tempt them into making a risky choice; for others, it can depressthem enough into seeking solace with drugs and alcohol. The center’s survey found that many teenagers (some as youngas 14) have seen images or videos of other adolescents who have passed out after drinking or doing drugs. A psychologistat the University of Washington conducted an experiment of her own, which suggested that people who saw visual representationsof alcohol consumption “said they were more willing to get drink in the future,” and had favorable impressions of thetype of people who got drunk and broadcast it on social media. And those types of people don’t have to be friends; itcould be friends of friends or complete strangers. 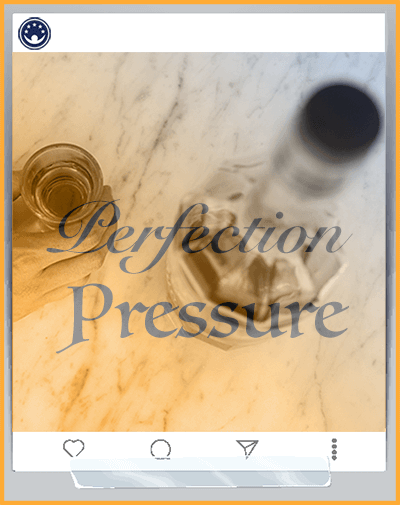 The images might not be limited to weekends and vacations; they maybe shared any day of the week, any time of day, constantly reinforcing the idea that excessive alcohol consumption isnormal and desirable. Adding to the message are captions and status messages that glamorize the activities depicted inthe videos and pictures. A spokesman for Facebook told theTribune that the company removes any content that promotes illegal drug use or underage drinking based on whetherusers flag the content as objectionable. In covering its bases, Facebook also pointed out that research at the Centeron Juvenile and Criminal Justice in San Francisco has not yet been able to control for other factors, such as parents’use of drugs or alcohol, family history of mental illness or addiction, environmental stressors, etc., that could havea bigger role to play in teenage substance abuse than social media. Mike Males, a researcher at the San Francisco center,acknowledges that social media has a role to play in encouraging drug use, but “real life” may make that role pale incomparison. 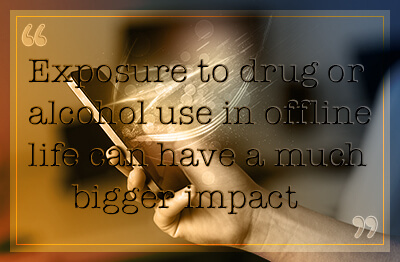 Exposure to drug or alcohol use in offline life can have a much bigger impact; and according to Males, thestudy by the National Center on Addiction and Substance Abuse doesn’t address that dynamic. Mainstream social media networks havevery explicit rules on the kind of content they permit to be shared. Facebook, for example, states that its 1.7 billionusers are not permitted to purchase, sell, or trade drugs, and that users who break this rule will be subject to accounttermination and/or legal liabilities under applicable laws. Unsurprisingly, this does not deter people who want to selldrugs, and it does not deter the people who want to buy the drugs. Facebook is, by far, the most popular social networkthat exists, and finding drugs on the platform is “easier than buying a cup of coffee,” according to theMcAfee Institute. In Colorado, where the sale of recreational marijuana is limited to adults, ahidden Facebook group acted as a marketplace for high schoolers to buy and sellcannabis as well as synthetic marijuana,prescription drugs,methamphetamines, MDMA, andLSD. The group had 900 members in total, and 171 of them were students from 55 high schools and middle schools acrossa single metro area. Police were more interested in using the experience as a learning opportunity for parents, children,and educators about how an otherwise benign (and even beneficial) service like Facebook could be usurped by people lookingto expose high schoolers to the drug trade. Nonetheless, police arrested one man on charges of distributing controlledsubstances, and Facebook closed down the group when investigators contacted the company. A similar situation took place in Adelaide, Australia, where a local news organization discovered the existence of another“hidden” Facebook group, where the privacy settings are such that only the group’s members are aware of its existence,and joining the group happens by invitation only. The so-called “Adelaide street pharmacists” group had over 200 members,which Facebook shut down when alerted by the news organization. A criminologist at the University of Adelaide Law Schoolexplained that the group and others like it are examples of “social drug dealing,” where social media platforms (like Facebook) are becoming increasingly used by criminals ofall colors, allowing drug dealers to hide in plain sight. “The Internet is probably the primary mechanism for drug dealers”because using social media and smartphones to conduct business is far quicker and more efficient than methods of the past.The same privacy settings that are meant to protect users’ confidential information are also used by drug dealers to covertheir tracks and render themselves invisible among the millions of legitimate Facebook groups and pages. Criminals alwaysexploit any form of technology and innovation they can, and social media is no exception. And the ubiquity of platformslike Facebook blur the line between the online world and real life, to the point where placing an “order” through a hiddenFacebook group can result in drugs being delivered to a user’s front door. Pharmacies is a code word that is often used by drug smugglers to create seemingly legitimate groups to sell theirproducts. TheInternational Narcotics Control Board reported that “illegal Internet pharmacies” use social media, as well as theperception of authority and validity, to unlawfully market prescription drugs to people. The president of the board explainedthat such organizations “have started to use social media to publicize their websites.” The platforms include YouTubeand Facebook, where young (or otherwise impressionable) people are lured into chat rooms with “doctors” for “consultations”that always culminate with the sale of drugs. Needless to say, the “doctors” are not really doctors, and the “consultations”are meaningless conversations that serve only to heighten the victims’ fears to facilitate the sale.People trust social media more than they do advertising, and being told by a “doctor” in a Facebook chat that theyneed pills and tablets for whatever ailment they have adds a veneer of legitimacy to the process. Victims tend to be poor,poorly educated, unemployed, and easily deceived by someone telling them what they want to hear, on a platform that alltheir friends and family use via a medium that they can hold in their hand and put in their pockets. Facebook may be the name that comes to mind when the termsocial media is used, but there are literally hundreds (if not thousands) of platforms that allow users of all walksof life to connect, and drug dealers are attuned to all of them.Kindland writes of how Grindr, a social networking mobile app designed for gay and bisexual men to find romantic and/or sexual partnersin a specific geographic area, has become “one of many realms of the digital drug trade.” In the same way that Facebook’sprivacy settings are used by dealers to cover their tracks, Grindr (and other dating apps) has privacy features that giveboth parties anonymity for their own safety. While this is a useful function when the apps are used as intended (to meetpotential romantic or sexual partners), it takes on a new dynamic when the anonymity is used by drug dealers and theirpotential customers. A dealer explained to theKindland writer that marketing her services on Grindr is “like free advertising” and “easier” than other methods.It is also safer than so-called “street-buy scenarios,” which often devolve into robberies, shootouts, or busts by police.Social media apps like Grindr allow both the dealer and the customer to evaluate each other before continuing with a transaction.Female dealers, like the one who spoke with theKindland writer, find this an exceptionally useful feature when selling hard drugs. An exchange of money and methamphetaminecan be arranged and made in less than an hour. Grindr is a popular platform on which to find and sell methamphetamine (The Fix writes of how the use of that particular drug has reached epidemic levels in the gay community, and Grindr markets itselfas “the world’s largest gay social network app.”) but as many as 73 percent of people who report purchasing illegal drugsdid so over social media apps. The instantaneousness of finding drug dealers on any such app is staggering. The CoalitionAgainst Drug Abuse found 50 dealer accounts on the Facebook-owned picture-sharing social media app Instagram (300 millionactive monthly users) in a single day by searching for terms as simple as “weed 4 sale.” In a matter of a few minutes,the coalition had downloaded the app, created an account, found a dealer, messaged the dealer, and received a response.The drugs available ranged from marijuana to prescription painkillers and MDMA. Requests are sent via direct messagingor leaving comments on dealers’ pagers, and payments are made electronically and immediately through the use of peer-to-peerpayment services like PayPal. “The next wave of freelance narcotics is online,” warnsKindland, and with millions of people having a smartphone in their hand, the marketplace is everywhere. Complex calls this the “digital underground,” where the possibilities of buying drugs are “limitless.” One person speaking totheComplex explained how he struggled to find ketamine, his drug of choice, in real life, but within minutes of usingGrindr, he made contact with a dealer who was selling. All it takes is for a smartphone app to be social and location-basedfor a dealer to find a customer. Dealers often have multiple accounts, both as a safeguard against the inevitable closureof one account and as a way of marketing themselves to more users. “The process,” saysThe Guardian, “is simple.” All social media services and companies have explicit rules about posting, sharing, or selling controlledsubstances on their platforms; dealers, in return, label their products as “research,” “experimental,” and “not intendedfor human consumption,” giving themselves a thin layer of plausible deniability (and enough time to disappear) whentheir accounts are flagged.Some social media apps are specifically designed for anonymous communication. Journalists might use them to talk with sources,regular people might like their conversations not potentially being snooped on by government agencies, and dealers andcustomers find the layers of security to their mutual benefit. No matter the encryption, digital dealings always leavea trail, and investigators are more than capable of sending a dealer to jail for a very long time for deals conductedmonths or years prior. Grindr’s market is exclusively gay and bisexual men, but the dating app landscape is ruled by Tinder.With nearly50 million users by late 2014, the company is worth an estimated$1.35 billion, and this kind of a market is irresistible to drug dealers whose profiles exist side by side with thoseof legitimate people looking for a connection. While most users have profile pictures that present themselves as viablepartners, dealers simply have images of their products as well as symbols (emojis) that, at a glance, convey the quality,purity, amount, and cost of the product, which ranges fromweed to Ecstasy. For the vastness of the virtual real estate that companies like Facebook, Instagram, or Tinder command, as much as 96 percentof the Internet operates beyond the reach of normal search engine results. This region of cyberspace is known as thedeep web. While it has many useful and beneficial applications (like online banking), a small subsection of this deep web isalmost entirely devoted to criminal activity, including the buying and selling of drugs. This subsection is known as thedark web, where users can exchange stolen credit card information, buy firearms without background checks, and evenarrange for theservices of professional hitmen. Users can also find any number and kind of drugs, available for sale in a format similarto browsing Amazon or eBay. Vendors respond to private messages about the quality and quantity of the product, and usersleave feedback to describe their transaction experience. The kind of transactions that take place on the dark web arecomplex, criminal activities. The operators of these black markets present their services as a choice of “freedomover tyranny.” The slogan was employed by Silk Road, which was the largest single website on the dark web that sold drugs.Two years after it went online in 2011, it had a million users. In 2013, when federal agents from a number of agenciesshut down its servers and arrested its 29-year-old founder, Silk Road had seen nearly $1.2 billion in encrypted transactions,and its founder (now serving a life sentence without parole) had made $80 million.The victory over Silk Road was short-lived. Within months of the site going down, dozens of copycats sprung up to replaceit, with servers located all over the world. Even as local and international police collaborated to fight back, the plaguecontinued to spread. Not withstanding the fall of the original Silk Road and the message sent out by the lifetime incarcerationof its founder, “buying drugs online remains easy,” saysUS News & World Report. The operators of dark net marketplaces are intelligent, cunning, and very adept at dodging law enforcement, playinga long game of cat-and-mouse that they don’t mind occasionally losing because they know there will always be a demand forthe products they peddle and that business can be conducted over smartphones, which68 percent of Americans have. There is a world of difference between having a Facebook account and accessing the darkweb, but both areastonishingly easy to use. The special browser to get on the deep web is free, and it can be downloaded onto mobiledevices from popular application stores. Social media itself may be on its way to being a bigger temptation for teenagers than drug or alcohol abuse. A study out ofMichigan University found that in 2015, teens were using alcohol and drugs at the lowest numbers since 1990s. Researchersfelt that part of this decline was due to adolescents socializing less because they spend so much time on their mobiledevices. The director of the National Institute on Drug Abuse suggested that engaging with friends via social media keepskids at home and away from face-to-face peer pressure.Dr. Nora Volkow referred to this as a “protective effort,” effectively depriving teenagers (and other people whomight be otherwise compelled to use drugs or alcohol) of the time to engage in that behavior. The Monitoring the Futurestudy found that there was a 1.1 percent drop in the number of 8th graders who reported using marijuana between 2015and 2016. The rate of drinking is the lowest it has ever been since Michigan University started tracking, more than 40years ago; figures from 2015 show a drop ofover 37 percent. Public health and anti-drug advocates are making the most out of the exorbitant amount of time adolescents and young adultsspend on their social media accounts. 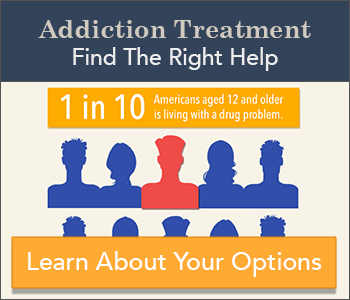 The director of health at theOneida County Health Department in New York said that the message of the harm and danger of drug abuse is gettingthrough, via social media campaigns that emphasize the numbers and reality of drug addiction. Such methods increase awarenessand education in a medium and format that is ubiquitous. TheCenters for Disease Control has also gotten on board. In April 2015, the organization launched an online initiative,whereby people whose lives were damaged by prescription painkiller abuse were invited to share their stories as warningsigns for others who may have been tempted by what they hear and see on the same social media platforms. Sometimes, it’s more than words. An advertising agency in Israel created a Facebook profile that used the social network’s“Timeline” feature to juxtapose a man’s life falling apart while on drugs to him enjoying life without his addiction.Ironically, the profile is in violation of Facebook’s terms regarding marketing and fake profiles, butZDNet wondered if this kind of campaign will nonetheless make an impact on the kind of people who would be swayedby what they see when they pull out their phones to check their accounts (as they do multiple times during the day). Policedepartments are alsousing social media platforms to announce successful drug busts and sting operations, which act as deterrents to potentialcustomers. But social media is a fickle landscape, and not all campaigns end well. An anti-marijuana promotion launched by Australia’sNew South Wales government was widely ridiculed for its unintentionally hilarious caricature of a “stoner” as alazy, uncommunicative sloth. New South Wales defended the campaign as an “[encouragement] of positive behaviors inyoung people,” to motivate them to give up marijuana before bad habits take form. The short video clips of a literal slothbeing too stoned to function are “designed to appeal to, and be ‘shareable’ among teenagers,” who are not only themost vulnerable to cannabis use but alsouse social media the most out of any age demographic. “We know that younger audiences respond more to campaigns highlighting the short-term consequences of their actions,” saidthe New South Wales government, but the country’s ownNational Cannabis Prevention and Information Centre distanced itself from the promotion. “Teenagers are intelligentand have access to a lot of information,” said the center, and the “Stoner Sloth” campaign did not give its audience theappropriate respect and credit, instead relying on hyperbole and stereotypes. Social media can be as much a blessing as it can be a curse, and researchers are wondering if the same “protective effort”that Dr. Nora Volkow of the National Institute on Drug Abuse spoke of may be a double-edged sword.Rolling Stone points out that one reason for the dramatic change is that social media behavior can itself be addicting. Teenagers asyoung as 13 check their Facebook, Twitter, Instagram, and Pinterest profiles upwards ofhundreds of times every day, and a study out of thePsychological Science journal examined “adolescents’ behavioral and neural responses to […] quantifiable forms of social endorsement,” suchas “likes,” retweets, shares, and other kinds of positive feedback. Researchers found that receiving many such endorsements“was associated with greater activity in neural regions implicated in reward processing,” the same mechanism by whichsubstance abuse causes addiction in users’ brains. Drug use changes the human brain over time, andso does the Internet. Coming to rely on social media for reward and pleasure brings its own downsides, most of all that a fixation on cultivatingidentities and validation on online platforms has been connected withdepression and insomnia, both of which can lead to drug abuse on their own. Psychologists at the University of Albanysampled 253 undergraduate students about how they used social media and the Internet, and how they regulated their emotionsand alcohol consumption. Ten percent of the students exhibited behaviors that resembled substance addiction in how theyused social media platforms; those who had “disordered social media use” had a greater likelihood of struggling to controltheir emotions (i.e., having poor impulse control) and drinking problematically. The psychologist who led the study explained that the constant (and unpredictable) stream of content, media, and validation“established habitual behaviors,” a process that increases the vulnerability to different forms of addiction. 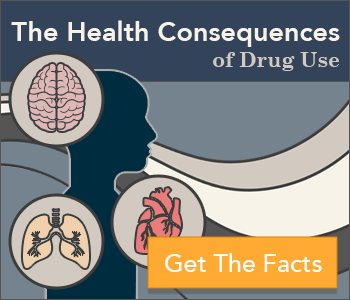 In thesame way that substance abuse has many different risk factors (e.g., family history, mental health, lifestyle, environment,etc. ), “disordered social media use” could be one such risk factor. With drug dealers taking to Facebook and Tinder tomarket their drugs, the combination is a dangerous one.